Three years after removing the popular feature from its smartphone lineup, Apple today unveiled a brand-new pair of iPad Pro models that, rather unsurprisingly, lack headphone jacks. 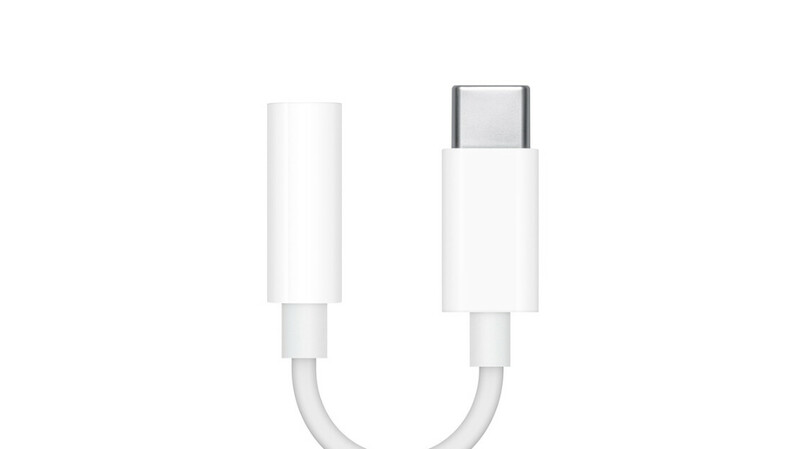 Due to this decision, Apple has added a new USB-C to 3.5mm headphone jack dongle to its online store at a cost of $9. However, users shouldn’t count on receiving one free in the box. After all, the Cupertino-based company quietly removed all headphone dongles from its iPhone boxes last month and the new iPad Pros are no different. This means that those of you who wish to use wired headphones will need to buy one. Another detail worth noting is the connector. Because the iPad Pros no longer include the lightning port, the previous accessory bundled in iPhone boxes won’t be any use either. In addition to the new headphone dongle, Apple also introduced two other USB-C related accessories that should complete the new iPad Pro models. The first is a 1-meter charge cable that connects to the included 18W charger and costs $19, and the second is a USB-C to SD Card Reader dongle valued at $39 that allows people to edit files directly from SD cards, without needing to transfer them over to the tablet. These changes are going to make Apple add another $500 billion to their $1 trillion valuation while extracting every $$$$$$$$dollar$$$$$$$$ from their mindless fanbase!!!! It's truly astonishing how sad your life must be. The hatred you have for Apple users has gone past sad to disturbing. You think you are some kind of super human because you use Android? Really? What exactly have you accomplished in life? Also you think it's some kind of "skill" to buy an Android phone and start using it? The ole Apple users are brainwashed? Really, are you that dumb that you think a mobile/desktop OS determines a persons life? You think you have a right to judge millions of people who prefer Apple users? People out there who have attained success from hours of hardwork and dedication, people who work for charities and help others, all kinds of people use Apple devices.. Yet here you are acting like you are better than all of them. It really is beyond sad that the tech arguments of ole that actually centred around tech vs tech has turned into a pile of trash because of "Android" users like you. So good job bro, hope you are proud. The most arrogant of them all. I dont get it. You are upset Apple Dosent have a headphone jack In something you want while Google, OnePlus, and soon Samsung don't have one either? What's wrong with buying a pair of Bluetooth headphones? Instead of wasting valuable energy on telling people who don't even know you/really don't give a flushed turd about you or your life about what YOU plan to buy, go out and make some money and buy all the things! Its a great time for tech and these iPads are pretty damn nice. Time to step into 2018. 10€ bt headphones sure can't produce the same quality as 400€ wired ones, so get a 400€ wireless headphones, if you want quality. 23 years ago: "like no sim card?" 20 years ago: "like no visible antenna?" 11 years ago: "like no buttons and no stylus?!" 2 years ago: "like no headphone jack?" X years from now: "like no charging cable?" Y years from now: "like no display at all?" Typical expected response with Apple related jabs and no actual content. There really is no point in talking sense into you. "Thanks for thinking of me that way". It must be hard being really dumb or just having nothing but personal jabs to respond with. Go back and read my comment again, I said your life must be really sad because you.. "YOU" think you are better than everyone. Also your "aggressive" stance might feel like you are "winning" but it just goes to show how you are the one who gets triggered by other people enjoying and buying the products they prefer while you have to contentiously prove how only "Android" users are uncontrolled and "better" than Apple users. LOL It really is incredibly sad how much time you waste ruining the comments section here. I really don't understand what sins phone arena commented to be stuck with such a toxic "Android" fanboy community. The ironic part is its all over a mobile OS, LMAO, One that I use just as much as iOS if not more. But you keep being you bro, anyone that has any actual sense of reality knows you're probably just some sad kid with no actual life and therefore must spend hours being a "keyboard warrior" insulting Apple users who couldn't care less about your existence. It really is upsetting how much the Android community ruins the comments section here, wish there was a way to block trash like you on Phone Arena. Its funny that apple is making too much profit on dongles where other OEMs can’t make a decent profit. Other manufacturers won't shamelessly make profit from something that should be included in the box. It's sad that Apple fanboys waste so much money on dongles where other OEMs fans don't pay a dime because they get them for free. It's sad when somebody has nothing to do but give a fk on what other people waste money on... I have wasted my money on beer that costs 3€/glass 330 ml (I bought "a dogle" worth of beer last night); I only waste money on imported Swiss cheese - around 4€/100g; I wasted some money on silk ties (the last one was 70€). Wtf do you care how anyone spends ones money?! Maybe because people keep buying apple no matter the cost. Its marketing of other OEMs to include everything so that they will keep alive. What do you think will happen when apple provides all those dongles and android features inside? No more left to android. No headphone jack? Didn't think I'd see tablets or computers removing that anytime soon. Pretty hilarious that if you buy a iPad and iPhone together you'll need to buy a new headset and 2 dongles to listen to audio on them both. Or you could just be ahead of the curve and have a pair of Bluetooth headphones? That's not the point, the point is that Apple is lacking in consistency - it's a flaw of the ecosystem. Not only one needs 2 dongles if one wants to listen to sounds, he also needs to have 3.5mm aphid jack headphones, which defeats the purpose of removing the port in the first place. One can't use a lightning set of headphones on the iPad (there's no dingle for them) and can't use a USB-c set of headphones on iPhone (again, there's no dongle for them). Which we must admit is just stupid (and Apple rarely does stupid things). This year's iPhones should have had USB-c (I think next model will be having it and that's why I'm thinking now it's a good moment to skip the xs). Another dongle? Fruit company is the master regarding ripping off people! Just hilarious to see this get defended as well. Forget Apple, Google, etc. Is this correct in any way to milk a user further who is already paying a premium? What next? No charging cable? Xiaomi including fast wireless charger with their super cheap flagship MIX 3 and apple cant even include a 0.50 cents dongle with their thousand dollars ipads and iphones. Yet PA and others wonder why some people dislike Apple.